Conservation Intern, Emma May, shares her unexpected experiences of living and working in the Peruvian Amazon and what it's like to carry out scientific research in the field. Discover life in the remote rainforest with her.. I first have to admit that I ate more than a few ants than I should have when I was a child, but I honestly thought those days were over. I was wrong. In my first week here as an intern, I was ‘treated’ to a snack of lemon ants in the forest- a cluster of tiny ants that live inside nodules in the stem of a certain type of plant. Surprisingly sharp and fizzy on your tongue, I now occasionally find myself walking through the forest craving this tangy little treat. The combined heat and humidity of the rainforest is enough to reduce a new arrival to a puddle of sweat, but people quickly acclimatise. This is most evident when the temperature drops a few degrees (to an essentially balmy 22°C) and the whole camp is wrapped up in sweaters and woolly hats. While a ‘friaje’, or cold spell, is an expected annual weather occurrence I believe these semi-regular sweater days to be the result of our extreme acclimatisation, and there’s nothing more surreal than lying in a hammock overlooking the vast amazon, shivering in your alpaca jumper. Before I arrived at the MLC last year as a volunteer, I was working in London as a makeup artist. Never in a million years did I think that that one volunteering holiday would lead to working as an intern a year later, planning future studies and reading (and enjoying) science report after science report. The resources that we have here in our little library are seemingly endless, and I have devoured papers on everything from new frog species to ‘very large trees’. Walking through the forest at night, it is advised to face forward and pay attention to the trail infront of you rather than chat to your friend behind you, especially when rounding corners. This I learned one night on returning from a survey, when I nearly collided with a giant Armadillo the size of a Labrador on the trail. We surprised it as much as it surprised us, and I’m sure our faces wore similar expressions before it scuttled heavily off down the hill beside us. That has been one of my very favourite jungle sightings so far. 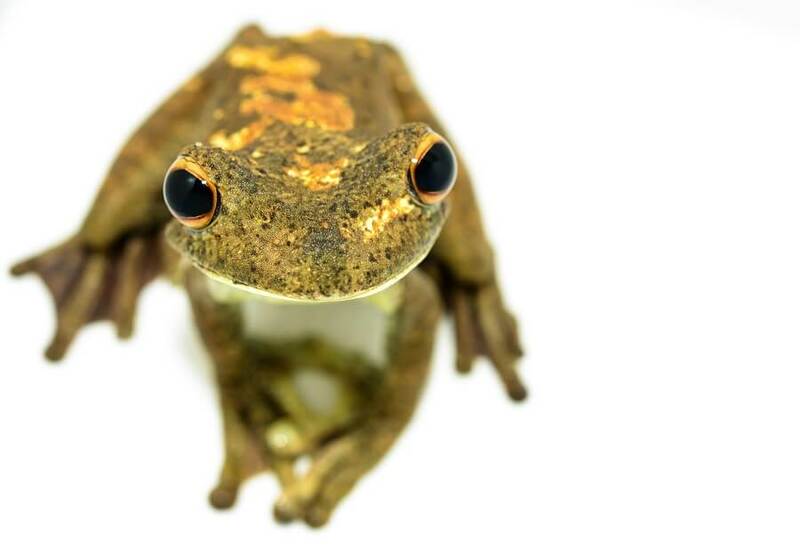 From bird calls, frog calls and mammal footprints to lizards, insects and plants, it seems inconceivable on arrival in the rainforest that we might one day be able to identify so many of these. It is equal parts fun, useful and rewarding to walk through the forest and recognise with certainty the exact bird that just flew over, the tiny frog you found in the leaf litter, or the large cat footprint embossed into the trail. Admittedly, the Piňi (just one mountain of the Piňi Piňi range that runs along the MLC reserve) is not the biggest mountain of all time, but I still never thought I would be able to say that I had climbed a mountain. It took about 4 hours of very steep and slippery climbing to reach the ridge one perfectly clear Sunday, and sitting on a ledge at the top, singing songs from the Lion King and looking out across the most incredible view of the Amazon is one of my most surreal and amazing memories. Karla, one of the MLC chefs, makes some of the best Tres Leches, mango cheesecake and chocolate marble cake that I’ve ever had. I never thought that I would have travel to a remote camp in the middle of the jungle to experience such amazing desserts, and I maintain that the cake alone is worth the trip here. For me, one of the most amazing parts about being here at the MLC is the sheer amount of learning that I do every day, both with and without trying. Further than that, being able to pass on some of that information to others is the most rewarding feeling; from giving presentations to welcoming new volunteers and visitors, there is always an opportunity to share what you have learned, and everyone in camp is open to learning from one another. A survey that has recently been reintroduced to the MLC has volunteers and interns searching through pig dung for coloured beads, intended to represent seeds. 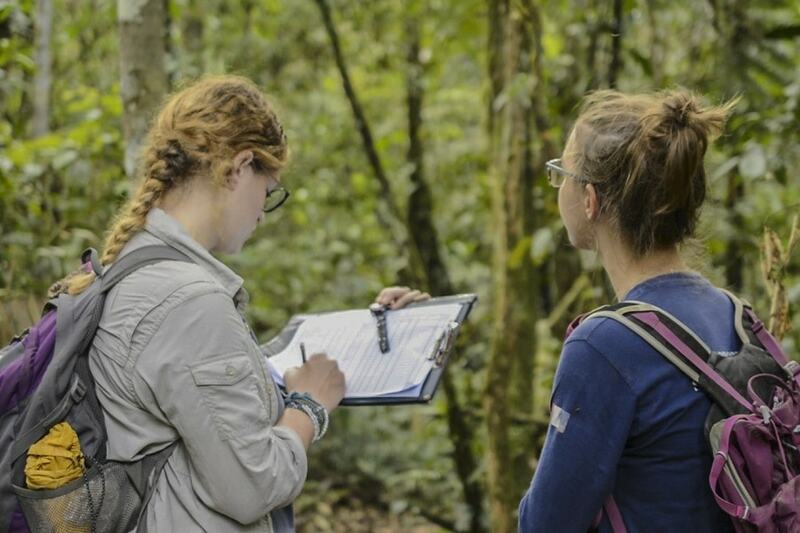 This survey, introduced to us by PhD researcher Laura, is designed to monitor the ecosystem services performed by dung beetles in the rainforest, and is actually a lot more fun than it sounds! Despite this, I really never thought that I would be searching for shiny beads in pig dung in the Amazon. The Amazon rainforest is the most incredible place I could hope to visit, and its vastness and amazing biodiversity fascinate me everyday. Although only a tiny portion of it, I feel incredibly lucky to know the MLC reserve so well, and feel so at home among it. Walking the trails everyday, it becomes second nature to avoid this slippery root, or step on that rock when crossing a river, and it becomes the norm to ask your friends “what time will you be home?”. Though I will only be here for a short time, I will always feel lucky that I have been able to call this place home.